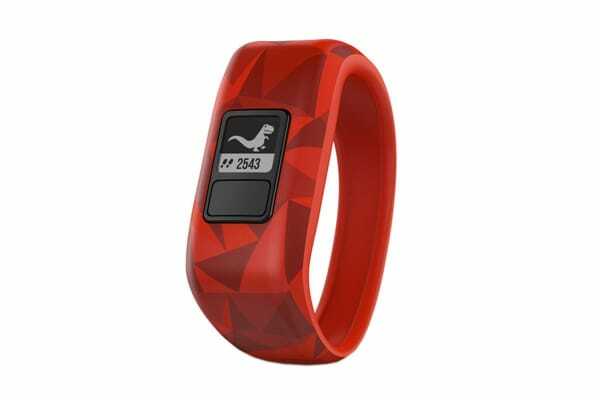 The daily activity tracker for kids. Meet the Garmin Vivofit Jr., the stylish, swim-friendly activity tracker that encourages your kids to stay on the move. Perfect for pint-sized powerhouses, vivofit jr. features a comfortable, durable 1-piece band that kids can slip on and off. Your child can rock it everywhere from recess to practice to the pool and even to bed. 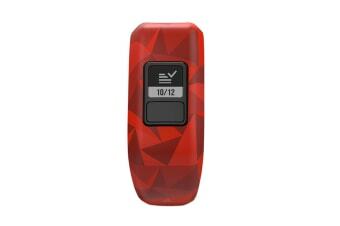 Rest assured, the user-replaceable battery will keep kicking for up to a year, so no need to recharge. Take the fuss out of household chores by letting vivofit jr. do the work. Parents can assign chores from the smartphone app and kids will see on their bands they have new jobs to do. These can be set up to recur daily or even weekly – perfect for children who need reminders to brush their teeth and make their beds. For youngsters who like to procrastinate, set up a task timer so vivofit jr. can remind them that time to finish homework or get dressed is ticking down. 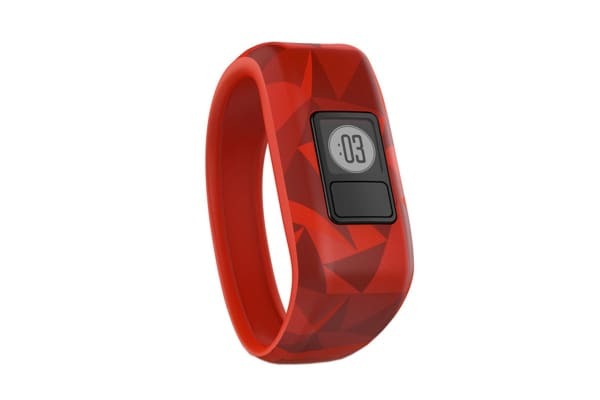 The vivofit jr. activity tracker makes it easy to reward and motivate kids. As kids reach their daily 60-minute activity goals, fun facts and a mobile adventure trail are unlocked, inspiring kids to do their best every day.